Located in the lake community of Auburn Bay, these 189 ZEN Townhomes came in three new and innovative townhome styles to choose from. They featured our trademark affordability and energy efficient features. The four different style options and sleek cabinetry made the interior alluring, while the private patios, fenced yards, and lake access made ZEN Auburn Bay desirable for all our homeowners. Shops and services, the gym, restaurants, coffee houses – it’s all within walking distance from the ZEN McKenzie Towne location. 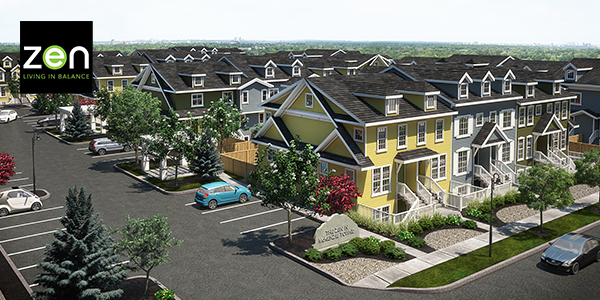 A choice of 2-storey town homes with private fenced yards and bungalow garden homes with private patios featured spacious 2- and 3-bedrooms ranging from 1,000 to 1,300 square feet, all with Avalon’s stylish finishes and fixtures. All 102 homes are EnerGuideTM certified and Holmes Approved Homes endorsed. 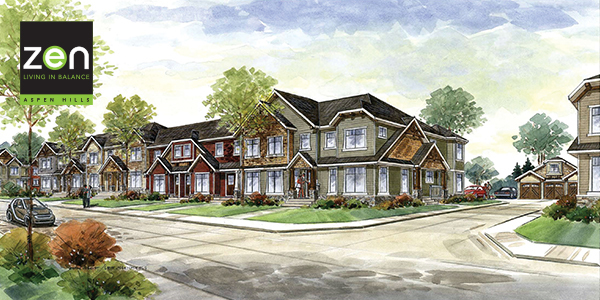 This ZEN development is located in the stunning west side estate community of Aspen Hills, only minutes from downtown and nearby schools, shops, recreation and entertainment, and close to the West Side LRT. All 69 ZEN Aspen units are around 1,200 square feet, plus an optional lower level development provides lots of room for activities, kids, and family functions. The very cool standard finishes were available in a choice of four designer colour palettes. We are proud that ZEN Aspen is registered under the LEED Canada for Homes Program. 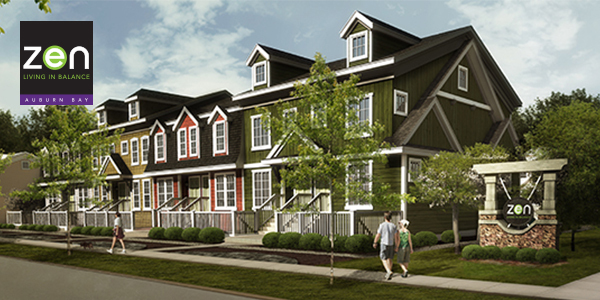 ZEN Airdrie, a community of 202 townhomes, was our first ZEN development and established Avalon as the first certified Built GreenTM multi-family homebuilder. ZEN Airdrie broke ground in October 2005 and sold out in a record two years. 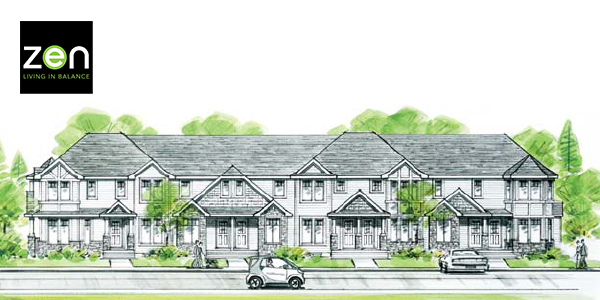 These efficiently designed 2-storey, 2-bedroom homes are about 1,100 square feet plus an optional lower level development, include a pantry, large country kitchen, and a private fenced yard. Standard finishes included a choice of four designer colour palettes.